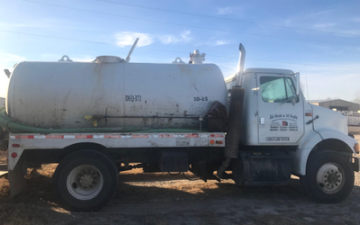 We are capable of handling all of your septic tank pumping needs in Ardmore, OK and beyond. We specialize in a varied range of septic tank services to keep your home or business running efficiently. Our team can expertly pump and clean out your septic tank. We abide by state and local regulations, so you can feel confident that your septic system meets all requirements. So count on Air Fresh LDS Inc for all of your septic needs! Is sewage backing up into your bathroom? We offer septic tank cleaning and septic tank pumping for conventional and aerobic systems. Proper maintenance of a septic system is crucial and saves time and money for any homeowner or business owner.